Marathoners now have an added incentive to run the second half of their race faster than the first. From Oct. 9 to Dec. 4, 2016, runners who upload their marathon to Strava and complete the second half faster than the first are eligible for a free pair of New Balance shoes. Strava is a favourite social media platform for runners, walkers, cyclists and swimmers. Running the second half of a race faster than the first is known as a negative split. The offer is known as the “Back Half Challenge.” One of the first eligible races will be the Chicago Marathon, set for Oct. 9. The race is USATF-certified and is considered one of the world’s top races as it’s one of six events as part of the World Marathon Majors. The challenge requires runners to race on a USATF-certified course in the United States. Potential entrants need to complete a submission form, which can be found at Strava.com. RELATED: Twenty one (point one) tips to run your best half-marathon. People who apply will receive a coupon code by Dec. 15, 2016, which can be used at Newbalance.com. The code can be used for any version of New Balances. Reid Coolsaet, the second fastest Canadian marathoner of all-time and an avid Strava user, says that “the strongest second half I ever ran was when I achieved my personal best.” His best is 2:10:28, set at the 2015 Berlin Marathon and he recently competed in the men’s marathon at the Rio Olympics. “When you start to tire in the marathon, your form will go which will make you more susceptible to injury,” Coolsaet says. 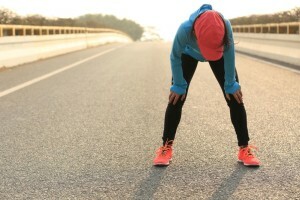 “On top of that, when you tire in a marathon things can quickly go from bad to worse, and slowing down gets compounded. RELATED: Make your friends jealous with the stylish and fast New Balance Vazee Pace 2. Data gathered by Strava indicates that just 8.5 per cent of finishers completed the Chicago Marathon with a negative split. Five per cent of finishers at the California International Marathon split a faster second half. There is no time cut-off for the Back Half Challenge though the official terms and rules state that Strava has the right to void entries if they are deemed to “compromise the integrity of the challenge.” For those thinking of taking advantage of the contest solely for the shoes, note that many USATF-certified marathons have entry fees upwards of $150. – “You have to run a USATF-certified marathon between October 9 – December 4, 2016. We love our runners outside of the US, and we love unofficial marathons too, but this challenge is just for sanctioned races on our home turf. – The race has to be uploaded to Strava. You must submit a link to that negative split Strava activity by December 12, 2016, along with this form. Crappy.. I negative splitted the Scotiabank Toronto Waterfront Marathon in October ..only by a minute but would’ve loved the shoes! And it was a Boston Qualifier..